There exists a place that no rational person would willingly go to. Unidentified flying objects, cattle mutilations and long extinct animals all claim the Skinwalker Ranch as home. The ranch is a veritable mixed bag of the paranormal. Hunt for the Skinwalker is the new documentary from director Jeremy Corbell, that aims to uncover exactly what is going on at The Skinwalker Ranch in the Utah desert. The film is based on the book of the same name by longtime investigative journalist George Knapp and Dr. Colm Kelleher. Corbell weaves a fascinating and horrifying tale utilizing footage from the ranch previously shot and unreleased by Knapp. In addition to the Knapp footage and interviews, Corbell talks to witnesses and explores the dreaded area himself. Encompassing a sprawling 512 acres, Skinwalker Ranch is located in Unitah County, Utah, just adjacent to the Ute Indian Reservation. Unitah County has a long history of paranormal and unexplained events. At one time, the area was nicknamed “UFO Ranch” due to multiple reports from residents of strange lights in the sky. Hunt for the Skinwalker tells the story of a family whose lives were turned into a figurative hell after purchasing the property. According to the native population in the area, they believe the activity on the ranch to be tied to legend of the Skinwalker. According to native lore, a Skinwalker is a wicked entity who has the ability to shape shift into animals. Natives believe the Skinwalker to be a possible witch. One of the many claims Corbell discusses, is an incident involving a huge wolf attacking cattle. The director details how the wolf seemed unfazed by multiple gunshots and continued to attack the helpless cow. Eventually the ranch was sold to Bob Bigelow, a Las Vegas real estate mogul and CEO of Bigelow Aerospace. Bigelow’s aim was to study the ranch from a scientific standpoint. Utilizing footage from Knapp, Corbell discusses the arrival of investigators from the National Institute for Discovery Science (NIDS). NIDS was founded in 1995, by Bigelow, and consisted of some of the best mind’s science had to offer. Unfortunately, NIDS ceased operations in 2004. Hunt for the Skinwalker presents interviews with some of the members of NIDS who were involved in the original investigation. The members discuss their personal experiences along with the scientific data that was collected during their investigation. These eyewitness accounts leave more questions than answers. Director Jeremy Corbell presents a beautifully shot documentary that will leave you questioning what we know as reality. Against gorgeous shots of the natural beauty of the desert, you find yourself becoming unnerved as tales of the unknown unfold. Stories of UFO’s, portals to other dimensions, sleepless nights and ghosts abound. What makes Hunt for the Skinwalker so fascinating is the amount of credible information Corbell presents. Interviews with former Tribal Police Officers, local residents, and PhD’s from NIDS all add to the reliability of the claims. 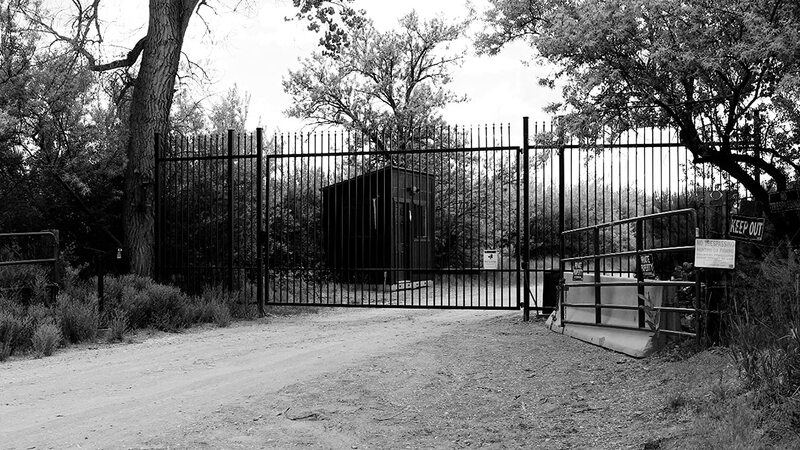 Hunt for the Skinwalker bridges the gap between George Knapp’s original investigation and present day. 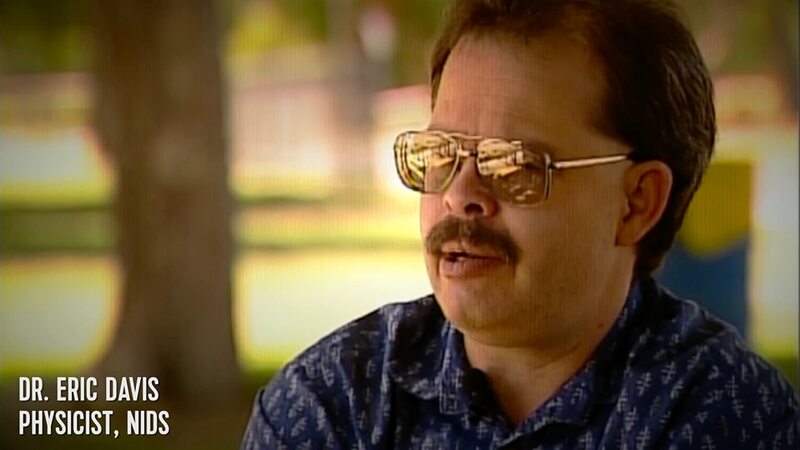 The film also includes an interview with the new owner of the ranch as Bob Bigelow is alleged to have sold the property. The new owner does not give his name or allow his face to be shown. The new owner tells Corbell that the original investigation from NIDS is certainly continuing. This film is a must view for anyone interested in the paranormal and things that dwell in the darkness of the night. Squeamish viewers take note though: The discussions of animal mutilations are accompanied by graphic photos and footage from the ranch. Most people take accounts of the paranormal and unexplained events with a grain of salt. Most outrageous tales can be explained away by rational skepticism. But Skinwalker Ranch is different. With the amount of evidence and witnesses, something strange is definitely occurring. Ultimately Hunt for the Skinwalker is a solid entry into the paranormal documentary world. I would, by all means, recommend this documentary to those with even have a feigning interest in the paranormal. The only fault I found was the occasional chaotic cut between Knapp’s original tapes and present day. This film definitely made me take more of an interest in the Skinwalker Ranch. Hopefully with the new owner and continuing investigation, one day conclusive answers will be found. Hunt for the Skinwalker is available now on Video on Demand.